While our present economic crisis is severely impacting the Latino business community, it is also creating unique opportunities. Latino entrepreneurs are among the hardest hit by falling demand and lack of credit, but they are well positioned to take advantages of systemic changes in the economy. These were among the findings of the first-ever Latino Economic Summit, which took place March 31, 2009 in Washington, D.C.. Presented by Wal-Mart, LATINO Magazine and Impacto, the event brought together nearly 200 Latino entrepreneurs, influentials, and community leaders at the Hyatt Regency Washington on Capitol Hill to explore how today’s economic challenges affect Latino-owned businesses. 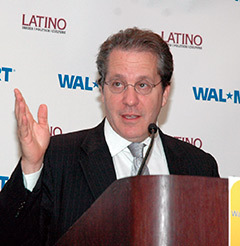 The depth of the recession was revealed by the Keynote Speaker, Gene Sperling, an economic advisor to President Clinton and current Counselor to Secretary of the Treasury Timothy Geithner.“These are difficult times,” he said somberly. 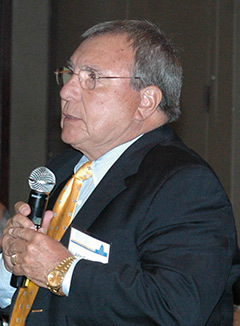 Sperling recalled the prosperity and “shared economic growth” of the 1990s, and affirmed that was the goal of the Obama Administration. But what made this crisis unique, he said, was the combination of weak demand and a shaky credit system. In the past, a decline in real estate values often led to lower interest rates and a gradual economic recovery. But now, the credit crunch has created a “negative logic” leading to a vicious downward spiral. 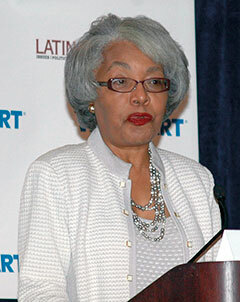 Recently, the voices of our nation’s top Latino Business Leaders were heard. 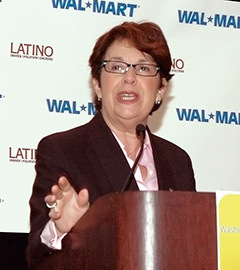 Their viewpoints are summarized in the six-page survey captured at the 2009 Latino Economic Summit in Washington, D.C. hosted by Wal-Mart. Topping the list of key issues for this prominent Latino business group were (1) gaining access to credit and (2) stabilizing financial markets. In contrast, other important issues such as unemployment and declining real estate values ranked significantly lower, a clear aberration to the media’s claim that Latinos have been the segment of the population most affected by the financial crisis, in particular from rising unemployment and increased foreclosures. Based upon these survey results, can it be that Latino Business Leaders are weathering the economic malaise better than expected? Or is the survey data telling us a different story? Perhaps it is of little surprise that this group of 200 Latino Business Leaders have not lost their homes or their jobs and therefore responded similarly to the way non-Latino Business Leaders also referred to as the “General Market”. The survey data shows that the majority of the Latino Business Leaders and the General Market held similar sentiments about the financial crisis. 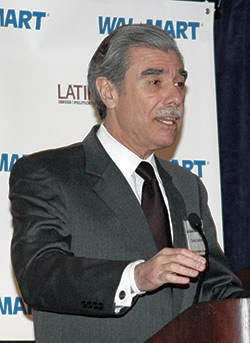 For example, when asked about what Latino Business Leaders are doing differently to adjust to the financial crisis, the majority of the survey respondents did what the General Market has been saying all along, such as changing the way they invest their savings, limiting their vacations, and eliminating restaurant visits. Perhaps a closer look at the survey data can unveil some insightful clues and further explain these different views. 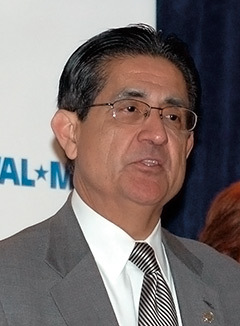 The profile of the Latino Business Leader includes individuals that own and operate more than one business. They are for the most part entrepreneurs in search of growing opportunities. Many have been raised in a family-owned business environment where cash flow issues, scarcity of inventory, and banking failures were commonplace. The current financial crisis may actually remind them of a personal hardship, one that may have helped form or influence their business acumen. So, it should be to no surprise that Hispanic and non-Hispanic business leaders agree on the measures to be taken to weather a financial crisis. A closer look at the survey data suggests that their opinions begin to differ when asked to share their projections and intentions for the foreseeable future. 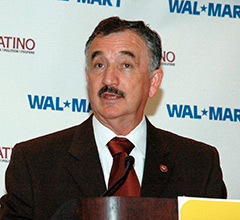 Latino Business Leader optimism does come with some warning signals that President Obama’s economic advisory team should take into consideration. The warning signal is clear. If Obama’s Economic Recovery Plan is about putting America back to work by creating new jobs, then helping Latino Business Leaders to be participants will be crucial to its success. Some efforts have already been made to push the “inclusion” agenda among minority groups, but unless the Latino contingent is properly represented, the results may never reach their intended goals. 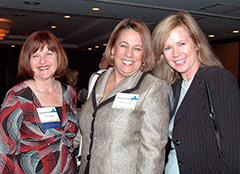 For Obama’s team to get it right, they should provide Latino Business Leaders with greater access to TARP funds, and make it more “user friendly.” Not only will President Obama benefit from the breadth of experience and valuable perspectives offered from a culturally diverse group of Latino Business Leaders, he will also be able to tap into their inherent optimism to succeed in 2010. 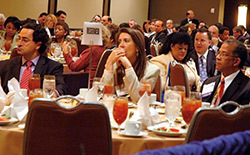 The 2009 Latino Economic Summit, recently held in Washington, D.C., had as its theme Crisis or Opportunity? The objective was to answer the question: Is there opportunity in today’s economic crisis? 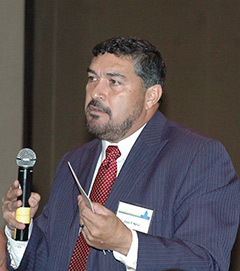 If there is, where is it and how can Latino-owned businesses leverage it? Many well-known and respected Latino Business Leaders took the stage and addressed this very question in their remarks. After the inspiring and interactive dialogue, the 200 attendees, which represented the full spectrum of the U.S. Latino business community, had the opportunity to also share their views to this very question with an in depth, six page survey. The findings will now provide our country’s leadership the first-ever qualitative perspective on the collective economic outlook of the private and public sectors, as well as the leadership of the top Latino community organizations. 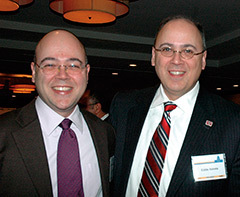 Both the speakers and the Latino VIP attendees gave a somber outlook for our country’s current situation, as well as immediate future---yet both shared the same optimistic outlook as to what can be done; with crisis, comes opportunity. A finding that had a unanimous decision was the negative perception of the economic situation amongst the Latino Business Leaders. One hundred percent believed that the current economic condition was bad, and almost half either felt that they were stagnant, on the wrong path, or simply don’t even know. The negativity is furthered fuelled by the lack of understanding and confusion from the Economic Recovery Plan introduced by the Obama Administration. Less than 1 out of every 7 of these well educated, affluent, and influential Latino Business Leaders say that they can fully understand the Plan. Can you imagine the rest of the Latino business community? Banking and credit are top issues for the business leaders, and account for more than half of their lack of confidence and concern. These two concerns are inter-related issues, and should be addressed simultaneously. As a result, nearly 40% of these influential respondents are not confident that the Plan will make things any better, and less than 7% were very confident in our future. Despite their lack of understanding or confidence in Obama’s Plan, these Latino Business Leaders responded with astounding optimism: 91% feel that their personal financials are stable, and the overwhelming majority of 93% expect their personal financial situation to remain the same and even improve next year. Even adjusting for Latinos’ general tendency to have greater acquiescence and less likelihood to admitting a bad situation, these results were still unquestionably more positive than previously believed. This cross-section of our nation’s Latino business and community organization leadership seems to have a significant lack of confidence in our current situation and such low levels of a clear understanding of the Plan---and they are the most educated and banked! We can only imagine how our unbanked and/or recently banked Latino business owners need a better understanding of the Plan and Obama’s support to be able to get their fair share. They are the majority of the 3.2 million Latino-owned businesses in the U.S., accounting for $465 billion in sales. This support and partnership with Latino Business Leaders will be a win-win-win: They will continue to grow and prosper, and also continue to deliver more cash-flow and jobs to our economy. The State of the Union was explored in a panel entitled “The New Economic and Political Landscape.” Participants included former Secretary of the Treasury Carlos Gutierrez; Augustine Martinez, President and CEO of the U.S. Hispanic Chamber of Commerce (USHCC); Barry Bosworth, Senior Fellow in Economic Studies at the Brookings Institution; Maria Cardona, President of Latinovations; and Jim Avila, Senior Law and Justice Correspondent for ABC News. The panel was moderated by Victoria Negrete, the CEO of Impacto. But is there light at the end of the tunnel? 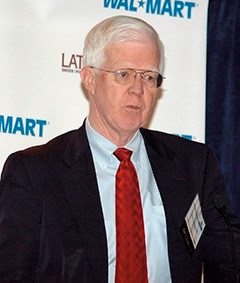 According to Barry Bosworth, a former presidential advisor and one of the top economists in the country, “We’re at the beginning of what will be the worst recession since World War II.” Calling his assessment “realistic” rather than pessimistic, Bosworth ticked off two warning signs: a rising unemployment rate, soon to reach 10%; and a 6% slowdown in production from the annual rate. He warned that in recessions, many were accustomed to steep declines followed by a swift ascent, but this was not the case in financial crises, which tend to last longer, like in Japan’s “lost decade” in the 1990s. While the first panel looked at the “state of the union,” the second examined how individual entrepreneurs are thriving despite adversity. 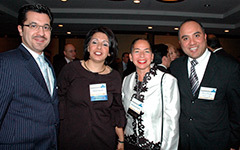 Entitled “Strategies for Success,” it featured John Guerra, CEO of the New America Alliance; Marisa Rivera-Albert, President of Mpowerment Works; Hispanic marketing pioneer Lionel Sosa; Marjorie Torres, CEO of Greenspace; and Jeff Valdez, the founder of SiTV and co-chairman of Maya Entertainment. 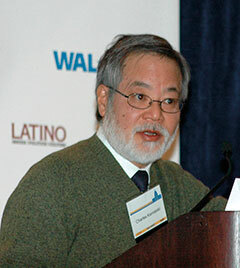 It was moderated by Alfredo J. Estrada, the publisher of LATINO Magazine. For those unable to attend, a webcast of the event, including interviews with panelists, speakers and participants, is available at LatinoMagazine.com and Impact-o.com/Wal-Mart.Summit. 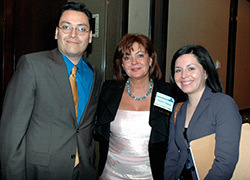 Nearly 200 business owners and community leaders attended the 2009 Latino Economic Summit in Washington, DC.